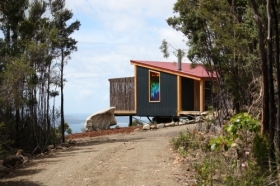 Woodbridge Hill Hideaway offers self contained accommodation located in Woodbridge, in Tasmania’s south. 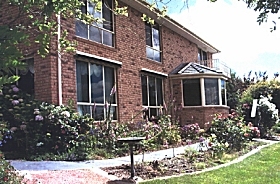 Woodbridge Hill Hideaway offers well appointed accommodation with views to match. Your environment on the inside is as comfortable as the outside. 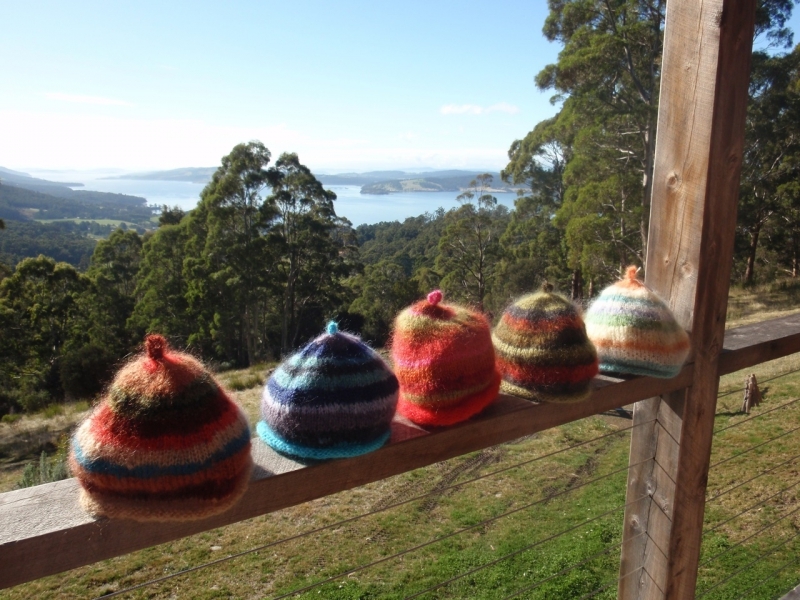 Cook with great Tasmanian produce in the fully-equipped kitchen or BBQ on the deck. Soak in the double spa which opens onto your private deck, enjoy the separate double shower with granite and art glass walls. Relax with the wood fire, wrapped in your dressing gown on the leather lounge or curl up in the indulgent queen-sized bed. Wake to spectacular sunrises and amazing views over the D’Entrecastreaux Channel and enjoy the complimentary breakfast. 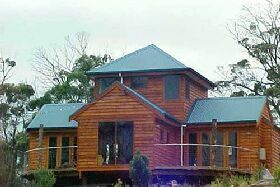 Using Tasmanian timbers rescued from old growth forests, local artwork, exquisite glass, and quality fittings throughout. 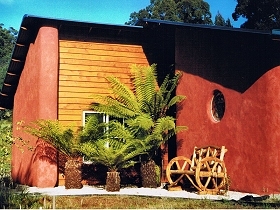 A HD TV,DVD and Wi-Fi access is provided. 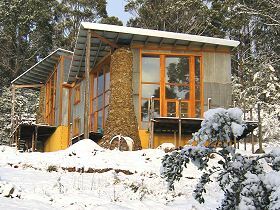 Designed to be eco-friendly, double-glazed and fully insulated. Woodbridge Hill straddles two of Tasmania’s famous food, wine, and produce regions, the famous Huon Valley, and the Channel. Explore or stay close to home in the 112 acres of landscaped gardens and native bush and then relax in the magnificent Woodbridge Hill Pool. Woodbridge is a 44 minute drive (36 kilometre / 22 mile ) south of Hobart. 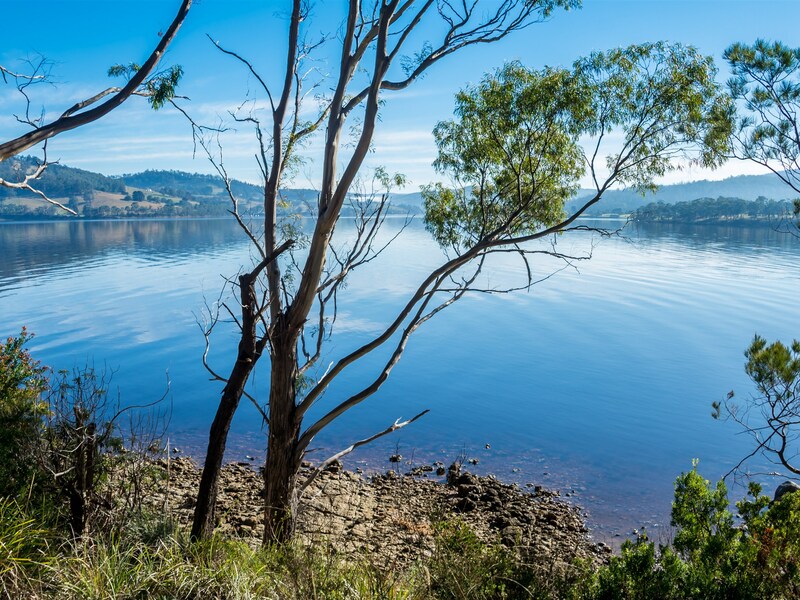 Place Categories: Stay in the Huon Valley & Channel Coast.Place Tags: accommodation, bruncy, coast, cradle, cygnet, d'entrecasteaux, hotel, huon, huonville, island, motel, stay and valley.